An excellent performance upgrade. 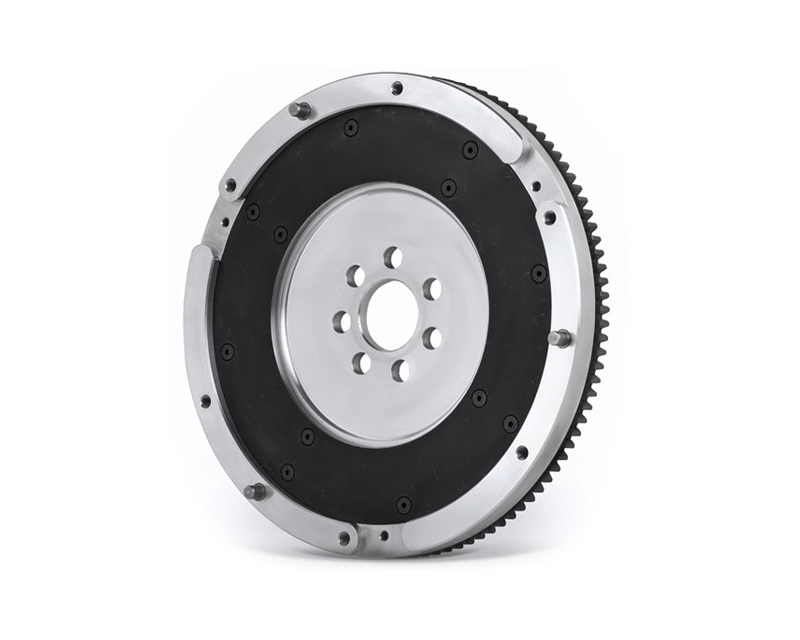 Lightened steel flywheels are susceptible to shattering under aggressive driving conditions. Because aluminum is lighter than steel, we are able to produce aluminum flywheels utilizing stock dimensions. Aluminum flywheels are perfect for road racers looking for quicker revs. It is also a nice complement for turbocharged cars experiencing lag. -Reduced mass equals increased acceleration. -A lightweight flywheel works particularly well with turbo-charged engines because it reduces typical turbo lag. -Increased supercharger efficiency due to less parasitic drag on the crank. -Improved mid-range torque in a normally aspirated engine due to not having to overcome the heavy weight of a stock flywheel. -CM uses only 6061-T6 aircraft grade or better billet aluminum in the manufacturer of its flywheels. -CM uses an OEM steel ring gear secured by bolts. -CM offers a 90-day warranty.